Tennessee legislators have once again thrust a new curriculum at teachers who will be evaluated by how well they prepare students using these new TNReady standards. The Sevier County School District where I teach is amazingly supportive of teachers and always looking for ways to help teachers to meet the challenges of teaching our students. The TNReady standards call for all teachers to incorporate more writing, and last week I had the opportunity to attend a workshop called Write Where You Are by Rick Shelton. I feel very prepared to teach my students writing; after all, I’m an English teacher. I’ve taught for over a quarter of a century. This was a voluntary inservice, so why did I go? Because I’ve always felt that when I feel that I can’t learn anything else it’s time for me to stop teaching: Teaching and learning go hand in hand. Of course, I haven’t always had good luck with inservice, so it was with a mixture of optimism and cynicism that I headed out for my meeting. From the minute presenter Rick Shelton started, I realized this training would be different. He promised not to break us into groups to produce pretty gadgets. He vowed to treat us as professionals, and he kept his word. If you ever have the opportunity to attend a workshop by Mr. Shelton, you should do whatever it takes to go. What made this so valuable to a veteran writing teacher like me? 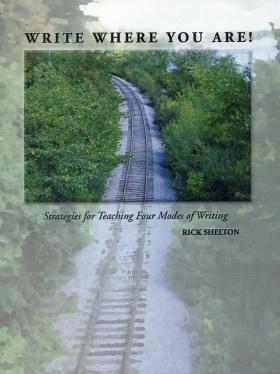 First, Shelton sought to reinvigorate the group by reminding us that if we’re teaching writing, we have to be writers ourselves. 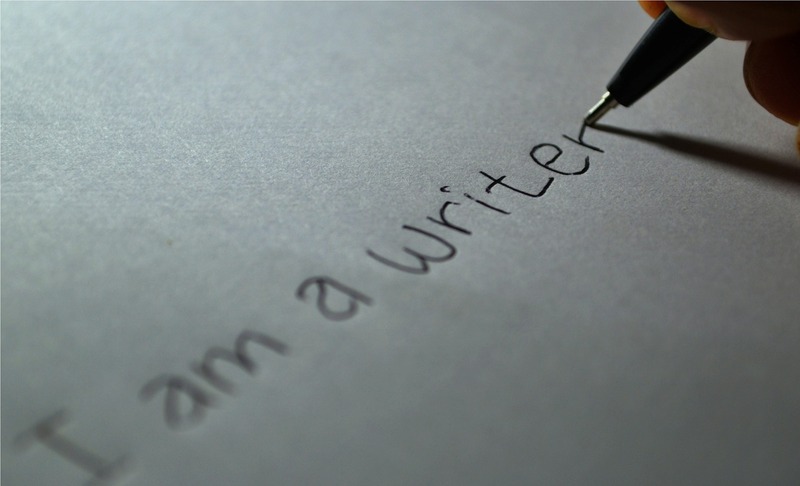 I recently experienced this epiphany–that’s why I started blogging; hearing Shelton explain why this works strengthened my resolve to continue my own writing and gave me some new ideas for how to incorporate my own writing into my writing instruction. (I explored my realization that I had to start writing again in A Writing Teacher.) He showed us why it is important for students to have an audience for their writing. It makes sense: If we want students to write, let them share what they write. I have recently begun doing this on my classroom website Logophiles Unleashed. Students respond to a prompt and then engage in conversations with each other. Again, I am more determined to incorporate more of this now. Then our workshop contained several practical techniques we can use to improve our students’ writing. That’s right, I said practical techniques. Shelton even provided some materials we could use, but more importantly, he helped us to see how we could fit more writing into our existing curricula without additional burdens on ourselves. He showed us how to “Plan Big and Write Small,” a way for students to see the big picture in a paper while teachers grade less. He gave us specific questions we could use to guide our students to add more evidence in their papers. This is the area I’ve always struggled with. As soon as he gave us the questions and went through a sample student paper, I knew this would work. His presentation was liberally sprinkled with personal stories and humor, and he didn’t get through his entire slide show. I’ve listened to presenters who finished their scripts, but clearly had no passion for their subject. His love for students and belief in education were evident in every word he said. At the end of the day, I knew that I would be returning to school ready to help my students write better. If it were my decision to make, I would have this workshop again for every high school teacher in our system. Shelton also works with students; I can’t even imagine how great the students would feel after working with him. Careful. Guys like this will give seminars a bad name……. From all the continuing education, motivation, self help, etc,etc, many of which are of limited actual value, it sounds like this guy is the real deal. Actual experience, practical suggestions…..a breath of fresh air, it sounds, like. One other thing that came to mind. If he was really that good, then he deserves a thank you and feedback. Perhaps send him a copy of this blog post or a thank you based on it (especially the specific things he did that you got value from). Also, the county education board also should get the same thing, so they know they spent their money wisely and it helped their teachers. I already did! He really was that good! I know, I know, it’s hard to believe!